Bright lights, cheesy music, and piles of bright pink candyfloss: there's something magical about visiting the funfair. Fairs are a pretty common sight around the country, especially during summer. But these six fairs take it one step further: and we think they're the best in the country. If you're planning on saving money on your holiday this year, a great way to do it is to skip the expensive flights and stay put. 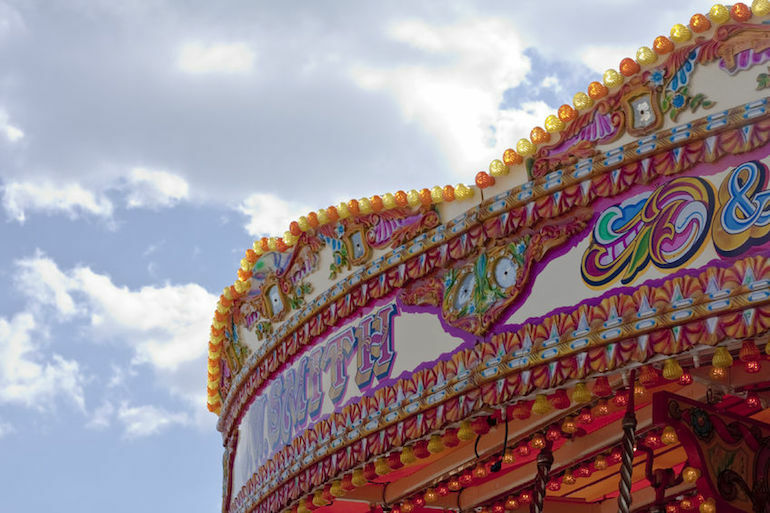 Britain has lots to offer, and if you're a real funfair enthusiast you'll enjoy a weekend break to any of these six destinations. With our free money management software you can plan your staycation without breaking the bank. You can create a budget, monitor where your money is going, and generally stay on top of your finances - all without spending your entire trip feeling stressed. The picturesque Scottish town of Burntisland is usually known for its blue flag beach. Throughout June, the beach life gets even livelier, as the fairground parks itself on the links: just a hop, skip and jump away from the famous beach. There's no entrance fee, so the amount you end up spending depends on how many rides you want to go on: and how much junk food you indulge in. The midsummer fair has been held on Cambridge common for over 800 years, making it one of the oldest fairs in the country. The fair kicks off with a huge parade, where the mayor throws freshly minted pennies to children in the crowd. The Telegraph calls it the ultimate funfair pier, and it's hard to disagree. Brighton's pier boasts a good selection of thrill rides and arcade games, as well as a restaurant serving up British favourites. It's free to wander onto the pier and just soak up the atmosphere. There are also free sun loungers you can grab if you want to do a spot of sunbathing. There's fun for kids of all ages at this huge amusement park, just outside Newcastle-upon-Tyne. As well as the usual games and rides, Ocean Beach also boasts indoor activities such as bowling and laser tag. It's also home to the Scream ride; the only one of its kind in the UK. Riders are lifted 37m in the air, then dropped at 68mph at a G force of 5.5. Taking place over the school summer holidays, the Alexandra Palace Funfair has been popular with London based families for years. Like most of the other fairs on this list it's free to enter, so if you're budgeting you can save money by avoiding the rides and soaking up the atmosphere instead. This top rated theme park is home to Britain's largest vintage fairground, and is packed with lovingly restored rides and game stalls. There's also an adventure playground, a zoo, and a petting farm. Entry is £10.25 per adult, and £9.25 for children. We reckon that's pretty good value for a day at the zoo and the funfair.